The Finnish company Nokia will soon launch its Android-powered Smartphones. 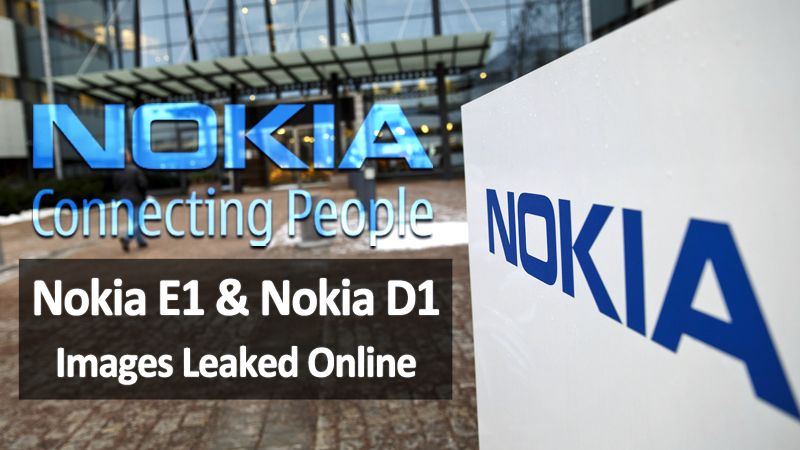 But, recently, new leaked images of new Nokia E1 and Nokia D1 has emerged online. The Finnish company Nokia got the whole tech community excited after it was known that the company CEO, Rajeev Suri would be giving an essence at the upcoming MWC (Mobile World Congress), which is expected to take place early next year. An essential update on the Nokia website brought a section not seen for a long time. The company itself confirmed that its first smartphone running Android will be released in early 2017. The news marks the return of the Finnish company into the smartphone market, after the sale of the mobile devices division to Microsoft, in 2013. The smartphones of Nokia will be manufactured by HMD global, a Finnish company that bought the rights to the iconic brand of mobile phones, as explained earlier. Nokia had done something similar in the tablet market with the N1, which looked a lot like the iPad mini and was produced by Foxconn, but the product was restricted to a few markets such as China and Russia. While it is still not clear as to what the company CEO, Rajeev Suri will be presenting on stage, we already know that Nokia is expected to make a comeback in the smartphone market in 2017. There were lots of rumors spreading across the internet regarding Nokia handsets. Hence, many users have their hopes high that it would Nokia’s comeback to the smartphones world with some new exciting smartphones. As, previously, we have seen few leaks which suggested that the Nokia D1C might be the upcoming Android powered tablet from Nokia. However, fresh image renders from Weibo shows a different story. But, recently, a new set of images showing potential Nokia-branded smartphones have emerged in China, as the NPU reported. 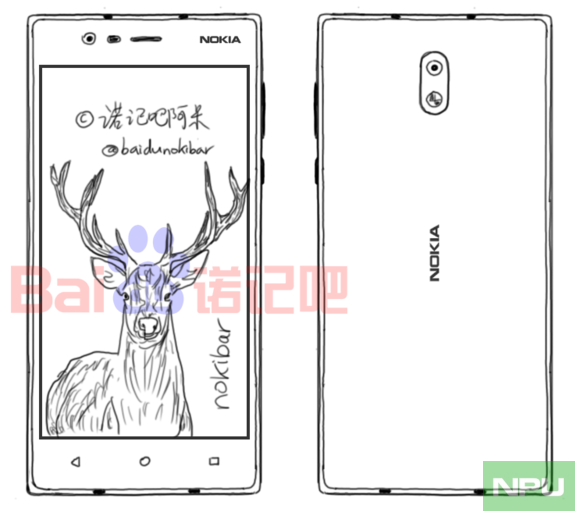 There are two sketched images showing the long-time rumored Nokia D1 along with the fresh Nokia E1. Among the both device, the all new Nokia E1 is a more recent device that we haven’t heard of until now, but it does not mean that it really doesn’t exist. However, if we observe the overall look of the new devices then it is clearly visible that both phones have a very similar design. But, again if you look little clearly then you can notice that the Nokia D1’s corners are slightly rounded, unlike the Nokia E1’s. Moreover, you can also notice few more changes like the positioning of the front LED flash, a physical Home button and most probably the size and weight of the smartphones. While if we talk about the physical home button then it is visible that the new upcoming Nokia D1 will sport a physical home button, unlike the Nokia E1’s. However, the Finnish company Nokia expected to announce at least one new Nokia smartphone in late February 2017.